This year, our iconic Sydney Harbour will welcome the first of a new six-ferry fleet. It’s history in the making, so the search is now on for memorable, new ferry names – and you can be a part of it. This week the Minister for Transport, Andrew Constance has had yet more criticism levelled at him due to changing the name of Ferry McFerryface, which the younger generation loved and got a good giggle out of, to its official permanent name honouring May Gibbs, when Ian Kiernan AO - Chairman and Founder of Clean Up Australia and Clean Up the World, the gentleman who ensures Keep Australia Beautiful places Keeping Australia Beautiful in the hands of everyone, had apparently been told one would be named for him. In November 2017 the six ferries were named the Catherine Hamlin, Fred Hollows, Victor Chang, Pemulwuy, Bungaree and Ferry McFerryface. The first five are from the Science, Environment and Innovation nominations section, where Mr. Kiernan's name was also listed - the other sections being Arts and Culture (where May Gibbs is listed) and Sydney Harbour Connections - full lists under Transport for NSW August 30th, 2016 Media Release below. Ferry McFerryface was a fallback name, the most votes actually went to the name Boaty McBoatface, the notable title Brits voted to call a new research vessel which appears in Pittwater Online News Environment pages when reports on what the polar research vessel has found out in Antarctica come through. Deciding to go with a McFerryface handle was for Summer fun, the Transport Minister stating a double-up of the same name would not be a good idea when announcing the name on November 14th, 2017. The Boaty McBoatface legacy has spread with an express train in Sweden named Trainy McTrainface and a team at Sydney's Warwick Farm racecourse naming their horse Horsey McHorseface. All these were preceded by Mister Splashy Pants, a humpback whale in the South Pacific Ocean. being tracked with a satellite tag by Greenpeace as a part of its Great Whale Trail Expedition in 2007. On Wednesday evening this week Nine News stated the new name of May Gibbs was ineligible to be the public favourite because it was not in the winning category of "Science, Innovation and Environment". Documents obtained under Freedom of Information by the news service showed Ferry McFerryface was ineligible to be accepted under the government’s own criteria as it attracted just 182 votes whereas Ian Kiernan AO netted 2025 votes. Mr. Constance responded, stating; the final voting did not include the name. "The name comes from the first open call for public nominations where [people] could vote for any name,"
"In this round, Ferry McFerryface received 229 nominations and Ian Kiernan received 17." Hopefully it will all be sorted out without too many more word skirmishes - both May Gibbs and Ian Kiernan AO have strong appeal with older and younger generations of Australians and Sydney-siders and engaging the next generation seems to be what the Minister has in mind. Perhaps a seventh Emerald-class ferry may magically appear, and can honour this champion of keeping Australia a cleaner kind of blue and green - seeing as there's such a strong mix of Health Champions, Renegades and Revolutionaries already in the mix. An Environmentalist fits among these - as does May Gibbs, who was a trailblazer among Australian women creators, illustrated an article written by Senator Agnes Robertson on the women’s rights movement 'Women’s Position in the State’ by 'One of Them’and bequeathed the copyright from the designs of her bush characters and her stories to Northcott Disability Services (formerly The NSW Society for Crippled Children) and Cerebral Palsy Alliance (formerly The Spastic Centre of NSW) when she passed away in 1969 at aged 92. The residue of her estate was left to the United Nations International Children's Emergency Fund. May Gibbs and Mr. Kiernan have connections with Neutral Bay and Mosman, one living there for a large portion of her life, the other having a share in a wonderful yacht moored there, the Maris, which people often get to see when a Pittwater Classic Yacht Regatta is on. Mr. Kiernan, a builder by profession, is a passionate yachtsman, sailing competitively for more than 40 years and representing Australia at the Admiral's, Southern Cross, Dunhill, Clipper, Kenwood and Trans Pacific Cup competitions. In 1986/87 he represented Australia in the BOC Challenge solo around-the-world yacht race. He finished 6th out of a fleet of 25 yachts from 11 nations. It was during the BOC Challenge that he saw and was appalled by the amount of rubbish choking the world's oceans. With the support of a committee of friends, he organised a community event – Clean Up Sydney Harbour on Sunday 8 January 1989. 40,000 volunteers turned out to help clean up, the next year, 1990, it was 300, 000. Since then more than 7 million people have heeded the call through annual Clean Up Australia Days, Friday Schools Clean Up Days and Business Clean Ups. Clean up Australia's Mission is "To inspire and work with communities to clean up and fix up our Earth". Ian Kiernan then met with the United Nations Environment Plan to discuss a global Clean Up. The first 'Clean Up the World' event took place in 1993. Currently around 40 million people from 120 countries take part in the annual Clean Up the World on the third weekend in September each year. Description - Three (3) new public roads created as part of Stages 1 and 2 of the subdivision at Carnarvon Drive (East), Frenchs Forest. The year 1913 marked the first public appearance of the gumnut babies on the front cover and illustrations of The Missing Button, by Ethel Turner, a Mosman resident and lady who frequently travelled to Palm Beach and whose son, Adrian Curlewis was one of the founding members of the Palm Beach SLSC and later called my many 'The Father of Surf Life Saving'. Ethel Turner's most well known book is Seven Little Australians, which she finished when just 24 years of age. The Missing Button first appeared as a serial in the Sydney Mail, and it is there we can see a family of gumnuts peeping shyly out. A few years later May told Theatre Magazine the idea for these gumnut babies came to her ‘in the middle of the night’ - as so many great ideas do - make sure you get up and write them down, even if weary. In December May also took out copyright registration for a gum-leafed bookmark which would become one of Australia’s most iconic designs. Ethel Turner (Mrs. Herbert Curlewis) was awarded a number of prestigious literary awards and is considered one of Australia's best-loved authors. The Ethel Turner Prize for Young People's Literature, awarded for work of fiction, non-fiction or poetry written for young people of secondary school level, is given annually under the auspices of the New South Wales Premier's Literary Awards. May Gibbs was born in Sydenham, Kent, in the United Kingdom, to Herbert William Gibbs and Cecilia Gibbs, née Rogers , who were both talented artists. She was their second child, and as she was named after her mother, had the nickname "Mamie". The family had planned to come to Australia in 1879 but didn't get here until 1881, when May, born in 1877, was just four. Ethel was born in Yorkshire in 1870, coming to Australia when she was nine years old. While students at Sydney Girls’ High, Ethel and her sister Lillian started their own magazine, Isis, and after finishing school established another journal, named Parthenon, to which Ethel contributed the children’s page and romance stories. Later this writer edited the children’s pages of the Town and Country Journal and the Illustrated Sydney News. So, May and Ethel had more than a few things in common. May Gibbs produced postcards depicting gumnut babies in uniform to support Australia's role in World War One. Her first book about the gumnut babies, titled Gumnut Babies, was published in 1916. It was soon followed, in 1918, by her most famous work, Snugglepot and Cuddlepie. Portrait of May Gibbs, ca. 1916 - photographer unknown, Item No. : nla.obj-137405633, courtesy National Library of Australia. May Gibbs, who was really an Artists first and foremost, continued to write and illustrate children's books, publishing Little Ragged Blossom in 1920 andLittle Obelia the following year. In addition to her work illustrating and writing, Gibbs also maintained two comic strips, Bib and Bub 1924–1967 andTiggy Touchwood 1925–1931, in opposition newspapers. Tiggy Touchwood appeared in the Sunday Sun under the signature "Stan Cottman". The comic strips were published in newspapers in most Australian states and also in New Zealand with Bib and Bub surely being among our longest running cartoon series. In 1923 she published Nuttybub and Nittersing and in 1929 Two Little Gum-Nuts. All her books have been reprinted numerous times and five cartoon books of Bib and Bub have been published. A search of TROVE shows 663,450 pages of publications across Australia where her works appeared. May is seen as one of Australia’s first resident professional woman cartoonist and caricaturist and the first Australian woman known to have drawn local political cartoons. "May Gibbs was a pioneer for female cartoonists, especially since she was successful,” noted renowned Australian cartoonist Lindsay Foyle. An invitation to write about myself ! Delightful ! I shall love to. I was born in England, in the very last days of - but there isn't time to go into that: I must have been a darling baby, very conceited and very fat — I am still. This desperate rush of a lonely little wife to regain her husband took three months, and decided, most happily I think, the future for the whole family. For if she had been more patient a letter telling of ants, red dust, heat, and the difficulties of life in the bush would have come, and there never would have been a Bib and Bub — at least there would have been, but how could I have known them and so have introduced them to you? Franklin Harbor, I hear, is a most prosperous place today. I wonder what became of the log hut my father built, which sheltered my mother and her three children (a very small chap had joined the boat somewhere in the Indian Ocean) for just one month? After that we lived in charming Adelaide for a short but happy time, and then we went to Western Australia. Of the glorious two years on the Harvey River Station which followed, of the old convict-built homestead, the exciting encounters with snakes that infested the cool river banks, of the river, of the flowers and the maidenhair fern, strange birds, insects, and wild life that was teeming round us; of the little fat red pony that was my own, of the days spent camping and tramping by ourselves out in the hills, my brother, aged 12, shooting and plucking and roasting the lunch, while I went about the more serious business of gathering flowers and information about the affairs of the bush — of these things I hope to make a book some day. From there the family moved by coach (and four horses) to Perth, to live happily again by the graceful Swan River. Here I feel is material for yet another story. To all of us our lives and surroundings, wherever they are placed, must surely seem wonderful romances! I have so loved drawing and color and am so enraptured with the art of word-painting that each person I know is a character in a book, and everything I see is a drawing or a painting. I think my most exquisite living pictures are the 'Blamire Youngs' my windows frame. At dusk and on very misty days he paints the wharf and the hill of houses beyond that I see out of one of my studio windows. He does it often, so he must know how I enjoy it. Then I grew up a little and went home, where I worked (really worked, six days a week) in the 'Cope & Nicholl' School, South Kensington, and after that under Borough Johnson at the Chelsea Polytechnic. His was a most charming personality to be near, and I do not know more beautiful lines than his in any life work. I worked also at various night schools, and for a short period in the studio of Augustus John. Later, being fascinated by the work of Abbey, I set myself to study the intricacies of the pen at the Henry Blackburn School of Black and White. Altogether some eight years of hard work in London are stocked with memories that glow in 'vivid spots of color on a dull grey ground —London! I went back three times, and each time I left a piece of my heart embedded in its old stones. Yes, London is a magic word to me, and England sounds sweeter than the name of any other country; but if you scratch me a strong scent of eucalyptus will fill the air. Only when I came back to her did I realise what a fantastic, richly original, delightfully reckless place Australia is. The bush immediately became a new fairyland, and I saw 'Snugglepot' and 'Cuddlepie, the Banksia men, the Flower Babies, the Tree-Woggs, and the Rock-bocks, and all the other creatures to whom I could only do justice in three colors and by spending far more time on their portraits. If only there were no telephone with voices in it, calling, calling, always the same words, 'Are those other drawings ready?' There it is again, that Voice. I must hurry. To finish, I have a little new home, designed by B. J. Waterhouse, with bright blue front door and shutters, and windows full of Sydney Harbor, and the water, splashing on the rocks at the bottom of my garden, makes music for me while I work. I have an Irish husband, a pianola, and a gramophone, two little black Scotch dogs, a mother and father living in Perth, and a pile of unanswered letters on my desk, a love for blue and white china, Charlie Chaplin, music, sweet peas, animals, water, and cottage furniture. Of course, the really important things, like Heysen's, Vermeer's, and babies, are too big to be mentioned in this short chat. There is just time to say a few hates — I hate cages, oysters, Oxford pants, and opera, 'going out,' spelling, and darning. Bib and Bub wish to be remembered to all their friends and wish them A Merry Christmas and Happy New Year, and in case any of the writers of those unanswered letters read this, may I beg their forgiveness and patience, for I snail surely answer them some day, and am more than grateful for the nice things they say of Bib and Bub. The first of the The Missing Button by Ethel Turner, series that appeared in 1913 to 1914 Issues of the Sydney Mail - you can look up others through the National Library of Australia's excellent, and growing, resource TROVE. In January 1914, the Gumnut Babies (called ‘Gum-Nut Brownies’) made their second appearance on the cover of the January issue of The Lone Hand. Intrigued with the little figures, the publisher of the Sydney Mail commissioned May to do twenty-five covers and from here the Australian bush fairies began to make the appearances. The Diary Consists of Alternate Entries by Two Children— Dot and Dash. THIS diary would never have been kept — nor the dairy either, for the matter of that — if it hadn't been for a bit of bad spelling.' It was Dot's bad spelling, of course. I'm 12, and can "spell all the words that I use, and my grammar's, as good as my neighbour's. "I heard a girl in the comic opera say that.' But Dot is only 10, and very shaky when two vowels come together. This is how it was. We've got an uncle who is very decent indeed as uncles go. He seems to know just when your tin is getting low and a tip, would come in handy. And he never turns up with tickets for an astronomical lecture or an evening with the Greek sculptors; it's always the pantomime or a circus. Well, last Christmas he'd done about everything for us, and yet he seemed to be casting about to do something else. He'd given me no end of a bat and a gun and a horizontal engine that works splendidly by steam, only E mother hardly- ever lets me have the methylated spirits since it blew up a bit. And' he'd given Dot aheap of the useless sort of things girls seem to like. And we p^lreklly couldn't think of anything else we wanted just then. Well, we sat down and thunk till we couldn't any longer. And then Dot actually began to' cry. 'I don't want anything,' she said; 'look at all I've got. And mother expects me to keep them tidy. I don't want anything. And if you'd seen her room you wouldn't think she did. Postcard albums, and collections of coins, and shells, and stamps, and dolls' houses, and rows and rows of dolls and other idiotic toys, and shelves and shelves of books. And mother tells her to go and play with all her toys, and says she ought to be ashamed to say such a thing when she has everything to make her happy, and that lots of unfortunate little girls — and so on, things mothers just have to say or die. But Dot doesn't go and play with all her toys. She just looks sulky and goes and rolls down the bank on the lawn. And I get a bit that way myself sometimes. You feel as if things are a simple nuisance, and yet you want to do something. I generally go and have a lark in the kitchen when I get like that — you can always get a rise out of cook by putting pepper in her custard. I did remember it — a plain slab hut standing in the middle of some green paddocks. We had the greatest afternoon of our lives there last holidays, and they let us help drive up the cows, and feed the calves, and everything. I resolved quite firmly when I was there that the second I was through with this beastly school I'd go on the land myself. But I didn't know before that Dot was keen on it, too. I had to go off then to play in a cricket match. And then off I went to cricket. earth to make of it. Then Dot sighed gloomily. 'Uncle wants us to start some other collection, I suppose,' she said. The vision affected me, too; there really was something very taking about those calves at the farm. Did you ever hear of anything so sickening? Or at least as it would have been only it wasn't. Something simply petrifying came about all through that same book, so I've stopped twitting Dot with her bad spelling. But it just shows you how careful one ought to be over spelling. Think of it! Just putting the 'i' before the 'a' instead of the 'a' before the 'i' changed the whole course of our lives. DASH isn't harf as -clever as he thinks. He makes lots of mistakes himself, and once he blew his eyebrows of, and anuther .time he made a qoffy mill and it could do anything but grind coffy berrys. And if I hadn't wrote it like that we'd never have got tbe Magic Key and gone on the land. So I'm the clever one. Below runs a record for all of we who LOVE ferries and to whom this week's series of word skirmishes recall Pittwater ferry debates from just a little while ago, and of course, a photo of the Emerald class ferry named for Bungaree, another hero to many here, who also has strong Pittwater connections. "ONE day I am 100, then for several days I feel no more than 12. It all depends on the weather—but mostly I'm 12," says May Gibbs, well-known writer of childrens' books, when asked (in a round-about way) her age. Miss Gibbs (in private life, Mrs. C.M.O. Kelly), who is best known and loved by children for her "Gumnut Babies" series, has just published "Prince Dande Lion" (Ure Smith Pty. Ltd.). "Prince Dande Lion" is a whimwham, designed to intro-duce children to flowers. All the main characters are puns on flower and animal names. "I started making stories for my young cousins in the bush, when I was a girl, and had to keep them amused on our bush rambles," Miss Gibbs explained yesterday. The first story she had published was written when she was an art student in London. "I was very young then." "From my little attic room in High Holborn I looked at row upon row of chimney pots. They came alive and formed the central characters of 'About Us', for which I received the princely sum of £20." "When World War I started my job folded up and I wondered just what I would do—fortunately someone asked me to make them a bookmark and I designed one with a gum leaf and two funny little animals peeping over the top." "Out of the two funny little animals were born Bib and Bub, the gumnut babies, and since then I have never look-ed back—so the war did me a good turn," she added. Miss Gibbs lives in a delightful little cottage—"Nutcote"—on the Harbour's edge at Neutral Bay. There she spends most of her time in the garden, with its massive gumtrees, climbing roses and colourful hydrangeas. "The garden is my studio," she says, "and many of my inspirations for 'Prince Dande Lion' came to me while I was weeding the garden." Bertram James Ossoli Kelly was the husband of May Gibbs. He was a mining agent she met on a visit to Perth in 1919. They married in April 1919, and he became her manager. Her private life is less well known than her public success. At the age of 42, she married Irishman Bertram James Ossoli Kelly. According to a 1994 biography(MAY GIBBS. Mother of the Gumnuts. By Maureen Walsh. Angus & Robertson) Kelly's schooling is described as being at Stonyhurst College, "well' known for its military regime," and, Clongoweswood College, Ireland. There is no mention that both are famous Jesuit schools, one in Lancashire, the other in Dublin. In Australia Kelly failed at farming and gold-mining, and when Gibbs met him had a routine public service job in Perth. How at the same time he maintained a close relationship with a wealthy socialite in Melbourne is unexplained, nor is his association with de Groot's New Guard in Sydney. On Saturday, 19 March 1932 then Premier, Jack Lang, was meant to cut the ribbon to officially open the Sydney Harbour Bridge. Captain Francis de Groot danced forward on his horse and cut the ribbon! de Groot was a member of the right-wing New Guard of Australia, formed in Sydney, Australia in February 1931 as a paramilitary offshoot from a conservative tradition defending loyalty to King and Empire, sound government, law and order, individual liberty and property rights. In particular, the movement was formed in response to the policies adopted by Jack Lang, the leader of the Labor Party and Premier of New South Wales. There are Pittwater connections of course; some of those associated with this group were instrumental in that flight of George Augustine Taylor and drew a well-known author to Narrabeen. Whether May ever visited the Narrabeen home of the Schulz's is not known. May Gibbs, one of Australia’s most treasured children’s authors will be recognised on Sydney Harbour with the last of the six new Sydney Ferries to be named in her honour. 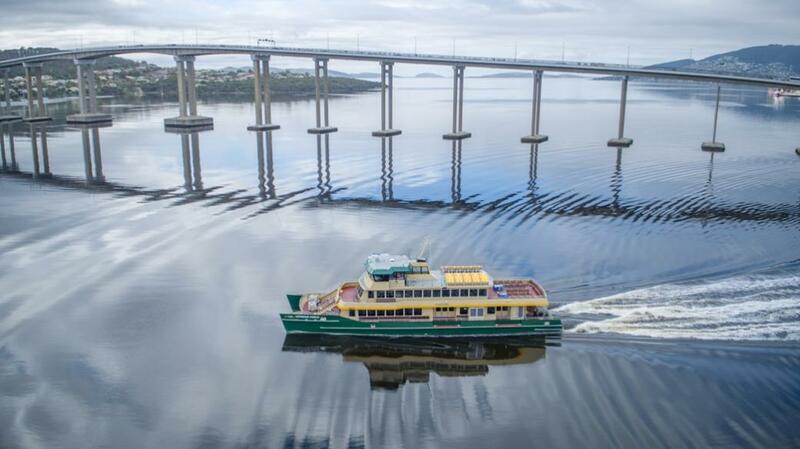 Minister for Transport and Infrastructure Andrew Constance has today revealed that the final name of the Emerald 6 ferry, branded as Ferry McFerry Face for the Summer, will be named after the iconic children’s author. “We always intended this vessel would be named for the kids. 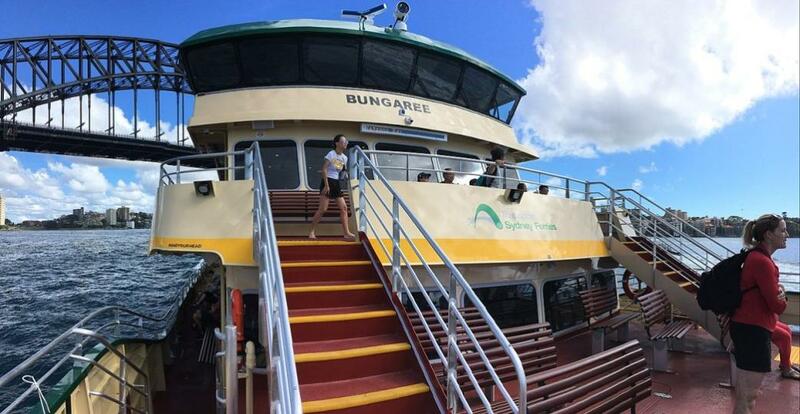 After a summer on the harbour, Ferry McFerryface will now be renamed after prominent Australian author May Gibbs. This will retain the vessel’s appeal to our youngest customers while also recognising an Australian icon with a long connection to Sydney,” Mr Constance said. As well as being an iconic author, Ms Gibbs also gave so much to the disability sector of NSW and after her passing in 1969 she left the copyright of her works to Northcott Disability Services and Cerebral Palsy Alliance. “She was an amazing Australian talent and a generous soul to Sydney, NSW and all of Australia and I am proud we have found a small way to honour her contributions on Sydney Harbour,” Mr Constance said. The vessel has been in operation since November 2017 when it was registered as Emerald 6 for maritime purposes and was branded Ferry McFerryface during the summer holiday period. Sydney’s transport needs are growing and changing, which creates a need for new ferries. We have initially introduced six new Inner Harbour ferries to meet this demand, as part of Sydney’s Ferry Future plan. Increased ferry services are run around the needs of both business and leisure passengers. New east-west Inner Harbour routes began in 2017 between Watsons Bay and Cockatoo Island, and now use new wharves, including the Barangaroo Ferry Wharf. The names of the new emerald class ferries were chosen by the public as part of the Name Your Ferry competition. The six ferries were named the Catherine Hamlin, Fred Hollows, Victor Chang, Pemulwuy, Bungaree and Ferry McFerryface. All vessels are now in service. Roads and Maritime Services are also upgrading wharves along Parramatta River. They have now completed Sydney Olympic Park, Meadowbank, Chiswick, Huntleys Point, Drummoyne and Cockatoo Island. Six new Inner harbour ferries in service during 2017. The first vessel was named The Catherine Hamlin after a pioneering Australian doctor following a public competition to name the new fleet. Born in 1760, Pemulwuy was a member of the Bidjigal clan who were the original inhabitants of Toongabbie and Parramatta areas. Living near Botany Bay, he would hunt meat and provide it to the early colonists in exchange for other goods. However, he soon became a leader amongst his people against European settlement. In December 1790, Pemulwuy attacked and killed Governor Phillip’s game shooter, John McIntyre. Some believe that this was payback for acts committed against the indigenous people. It was the start of a 12-year rebellion against the Europeans. During this time the legend of Pemulwuy continued to grow as he constantly evaded capture by the military. In January 1795, Pemulwuy boldly ventured into the Sydney settlement to take part in the Erah ba-diang initiation ceremony at Farm Cove in which boys became men, but was not detained. Two years later, he led 100 men on a raid of a government farm at Toongabbie. Pemulwuy was shot, wounded and captured, but soon escaped which gave rise to the belief that he was immune to the British bullets. Eventually, Pemulwuy proved mortal and died on 2 June 1802 after being shot by British sailor, Henry Hacking. The Pemulwuy now joins the Catherine Hamlin, Fred Hollows and Victor Chang in Sydney’s ferry fleet with the remaining two vessels scheduled for delivery later this year. Like the other new Inner Harbour ferries, the Pemulwuy has capacity for 400 passengers, state of the art real-time journey information, wireless internet connectivity, two wide walk-around decks, storage areas for bikes and luggage. It also has improved access for less mobile customers, including 12 wheelchair spaces and an accessible toilet. The Pemulwuy arrived in Sydney Harbour last week and has completed its local sea trials. The vessel will be back out on the water over the coming weeks as it completes its commissioning and crew training. Transport and Infrastructure Minister Andrew Constance today revealed the first new Sydney ferry will be called The Catherine Hamlin, as chosen by Sydneysiders in the Name Your Ferry competition. Mr Constance said Dr Hamlin had saved the lives of countless women in Ethiopia who suffered debilitating injuries after childbirth. 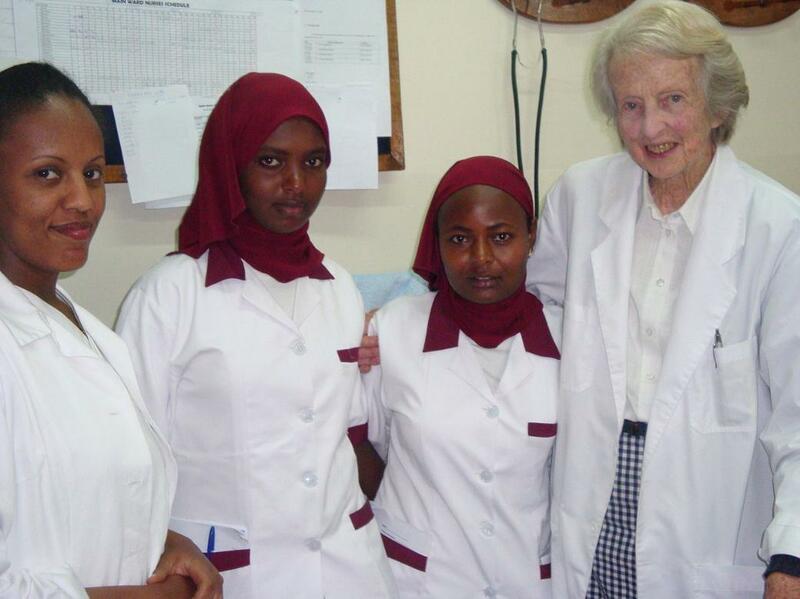 Almost 60 years ago, Dr Hamlin and her husband, Dr Reg Hamlin, moved to Ethiopia to provide free obstetric fistula repair surgery to women who were ostracized after a difficult childbirth. In July people were asked to suggest names in one of three categories, ‘Science, Environment and Innovation’, ‘Arts and Culture’ and ‘Sydney Harbour Connections’. Public voting has opened to name Sydney’s new fleet of ferries, the first of which will be on the harbour from this summer. Minister for Transport and Infrastructure Andrew Constance is asking everyone in NSW to get involved in this unique opportunity. “This is a chance for everyone to be a part of our maritime history and vote on the names that will grace the next generation of vessels on our famous harbour,” Mr Constance said. The ‘Name Your Ferry’ competition was launched in July and people responded well with 15,000 suggestions submitted. “We’ve had some truly great ideas put forward including names like Jørn Utzon, Catherine Hamlin and Victor Chang,” Mr Constance said. Names selected have been judged on their local and cultural significance as well as their connection to Sydney and the harbour. The panel also considered how the names fit together as a fleet. Twelve possible names have been listed inside three categories: Arts and Culture, Connections to Sydney Harbour and Science, Environment and Innovation. From today until midnight September 19, people will be able to vote for their favourite names that fall inside one naming category. Participants can vote for just one name if they prefer, or up to a maximum of six. The six most voted for names in one category will become the names for the new ferry fleet. Anyone who votes is encouraged to register their details online for their chance to win one of 50 family passes to take a ride on one of the new ferries. People are encouraged to share the names they voted for in social media by using the hashtag #yourferry as well as tagging @TransportforNSW on Instagram.